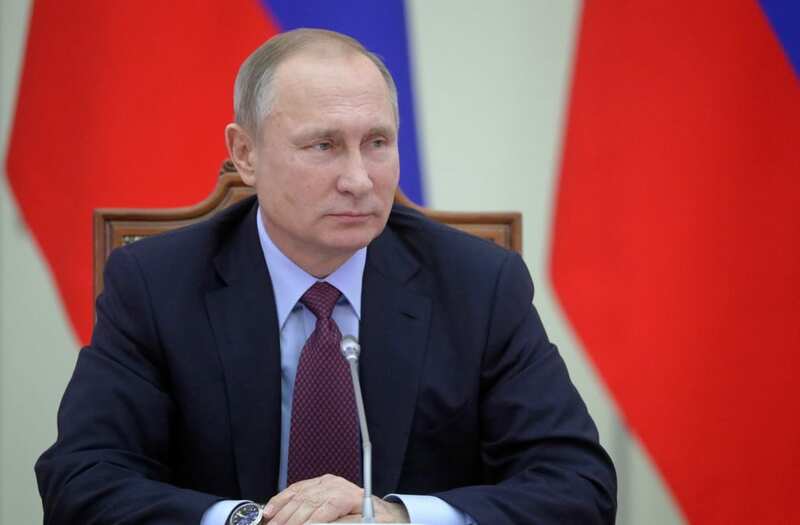 Russian President Vladimir Putin's main interest is restoration of the Soviet Union, former Secretary of Defense Leon Panetta said Thursday. "Let's not kid anybody," said Panetta, who also served as CIA director and White House chief of staff. "Putin's main interest is to try to restore the old Soviet Union. I mean that's what drives him." Panetta added of the current security environment, "This is a dangerous moment." Panetta's comments Thursday, at the Center for Strategic and International Studies in Washington, D.C., are an escalation of what he has said publicly previously, arguing that the Russian president wants restoration of the former Soviet arrangement. "It's pretty obvious that his intent is to try to spread Russian influence, particularly over the former Soviet Union. He is clearly trying to prevent the countries of the former Soviet Union from joining NATO and working with the European Union," Panetta said in 2015. Panetta, a Democrat, served as a U.S. Representative from California before serving in both the Clinton and Obama administrations. He also condemned Russia's 2014 annexation of Crimea, during the forum. "The United States has to make very clear we're not going to stand for that kind of new aggression to invade independent countries. Those are countries are that ought to be able to determine their own future," Panetta said. According to Russian officials, the vast majority of those living in Crimea backed union with Russia in a referendum vote in 2014. Some have criticized traditional U.S. policy as contradictory with its democratic values, for that reason. Panetta's comments also come after a long political campaign season, in which President-elect Donald Trumpsuggested the U.S. accept Russia's annexation of Crimea, and argued the U.S. should work with Russia, if possible. Rep. Mac Thornberry, R-Texas, chairman of the House Armed Services Committee, echoed Panetta's remarks, arguing for an increase in defense spending and noting that there are "some particular areas of weaponry Russia is making investments in" that should be of concern to the United States.